Newly announced Pokémon X/Y isn't even a week old. Heck, it's not even half a week old. But the internet makes it seem like the game is a thousand years old. Sites like DeviantArt as well as numerous Tumblr blogs are awash with Pokémon X/Y fan art. Here's a very small sampling of what's out there. 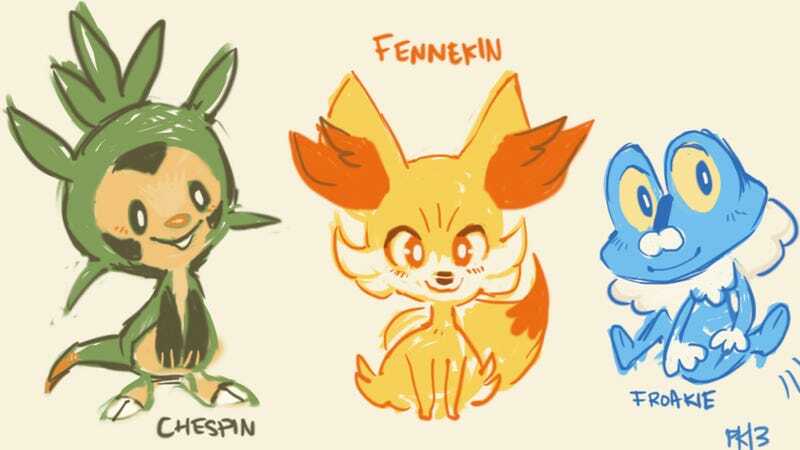 It's interesting to see how artists are already reworking and remixing the new Pocket Monster characters—even more so considering how little we know about the game. The strong reaction proves that the fans, ahem, choose Pokémon X/Y. Thanks, Xynthymr for the tip! Click the lower right corner of each image to expand to full size.